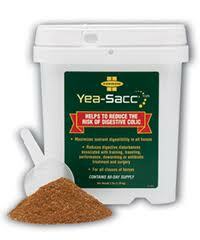 Just like we promised, we are covering prebiotics, probiotics, colic and various digestive upsets in horses. 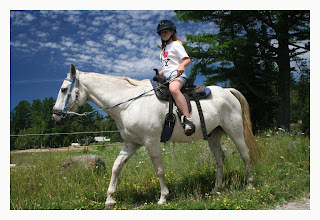 Here at Adirondack Equine Center, the horses that we do rescue come from unknown backgrounds, and many have illnesses or syndromes that become discovered throughout their stay at the farm. These conditions vary from parasite infestations to more serious illnesses such as colitis. We have been asked what the differences between probiotics and prebiotics are - probiotics are live bacteria or microorganisms usually from the Lactobacillus or Bifidobacterium family. The Lactic Acid Bacteria (LAB) is a branch of gram-positive rod (cocci) usually found in decomposing plants and milk products. Lactobacillus, Streptococcus Bovi and Streptococcus Equi are the most typical LAB species of bacteria present in the equine gastrointestinal tract. 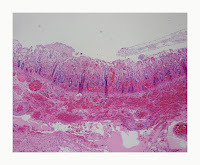 Colitis is inflammation of the colon. When the colon wall is irritated it loses function, thereby losing its ability to internally uptake water, and may actually dump fluid from the blood stream into the manure. 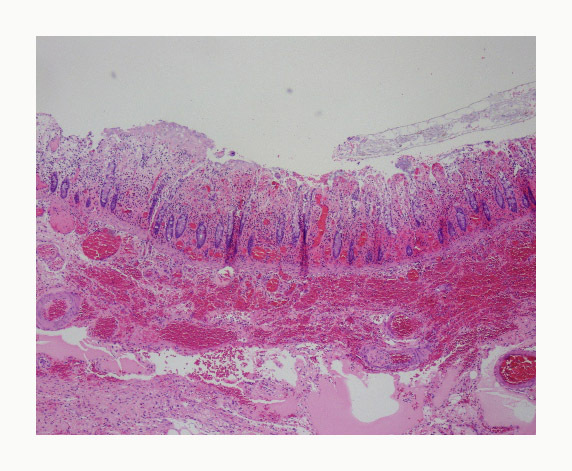 Colitis can be caused by a variety of problems, but often results from a disruption of the normal bacterial flora due to a rapid feed change. A classic example of this is grain overload, which can cause entire populations of normally occuring microbes to die off and others to flourish. This imbalance and direct damage to the colon from the acid products from the grain can lead to colitis, which results in diarrhea. Bacterial colitis is caused by overgrowth of undesirable organisms in the colon. Overgrowth of organisms that normally live in the colon can take place, or a new organism may be introduced. Often we do not know why these bacterial populations shift, but when they do, life threatening colitis and diarrhea can result. Bacterial colitis is often caused by types of Salmonella and Clostridial organisms. Understanding where these organisms come from or what causes them to multiply suddenly has proven to be difficult and is still not completely understood. Researchers have learned that some types of bacteria can be transmitted through contact with horses that are shedding the organism in their manure. Some have been isolated from environmental sources like contaminated drinking water. An important point is that these organisms appear when the normal flora of the gut is disrupted, especially by the use of certain antibiotics. Whether or not a horse becomes infected with these diseases depends their immunity, as related to their general health and the specific balance of microbes in their intestine. Acute colitis is rare but occur more often under more crowded and stressful conditions. 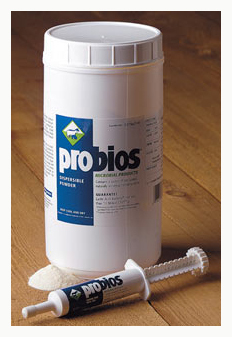 There have been serious outbreaks of bacterial colitis in equine hospitals and breeding farms. An important factor in these outbreaks is that most of the horses infected are sick or stressed and usually have been on antibiotics. 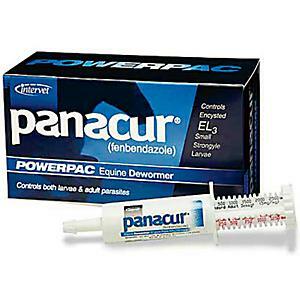 Antibiotics alter the normal bacterial populations and make horses more susceptible to overgrowth of these bacteria. A rarer cause of colitis in the Southwest (more common in the Northeast) is Potomac Horse Fever, caused by an organism that relies on a parasite in freshwater snails for its life cycle and transmission to horses. What's in a "Healthy GI Tract" ? 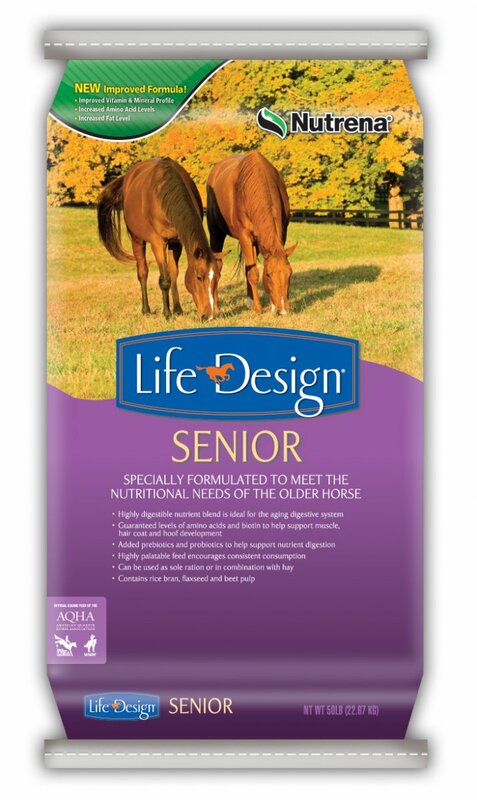 A horse's healthy GI tract will process and ferment feed so that its organism can get the most nutrients out of the substrate consumed. 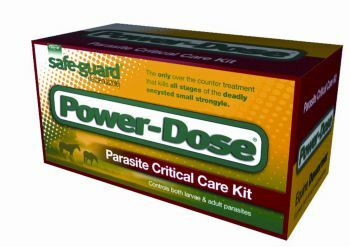 Having a volatile microflora prevents equines from developing diarrhea, pyrexia (fever), an elevated heart rate, loss of bicarbonate (electrolyte responsible for the ph of blood and other fluids in the body), and laminitis. 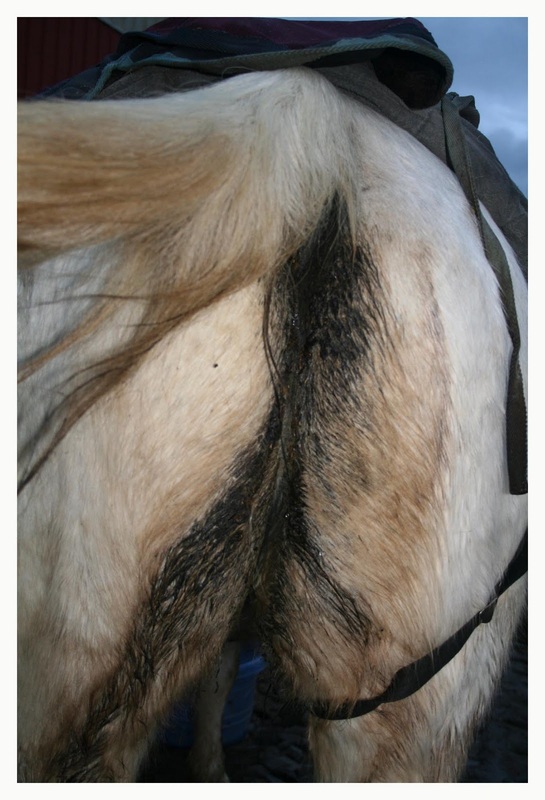 Alterations in the microbial population can result in the decrease of the tract's ph levels which promote an over-populating environment for both gram positive and gram negative bacteria, potentially harmful to horses. regimen for five consecutive days. Differences between moxidectin and fenbendazole regimens ? 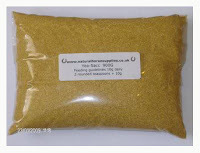 Moxidectin remains in the system, killing and preventing further infestation of strongyles and any most parasites. 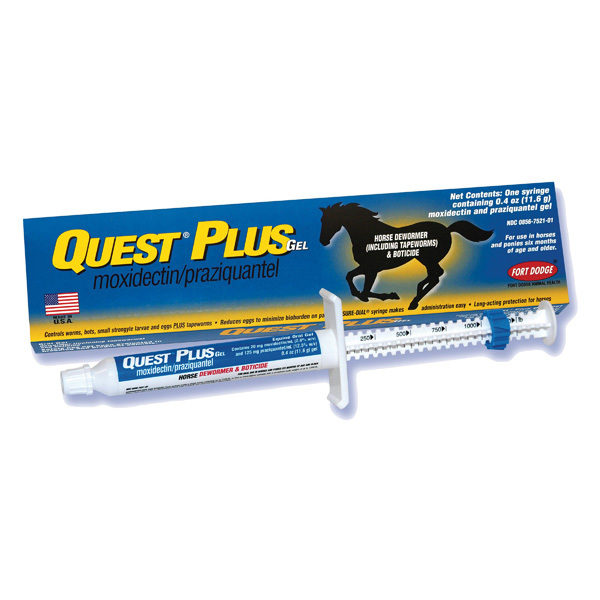 It is a rather dangerous drug, that can cause detrimental colic within 14 days of use. 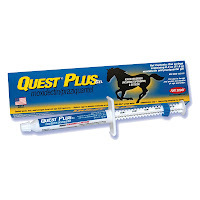 The average horse owner needs to exercise caution when using any moxidectin product, and it is usually suggested to use these products on younger horses. 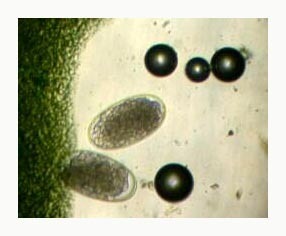 How does moxidectin kill these parasites? Moxidectin is a semisynthetic derivative of Nemadectin (Asato & France 1990) which is produced by the fermentation of a type of Actinobacteria (Streptomyces gram-positive bacteria found in the soil, which can also be a source of antibiotics). Moxidectin is effective as a parasiticide because it disrupts neurotransmission, which results in the paralysis & death of the parasite. Can it cause colic by compaction ? Yes, if horse is heavily infested, and if the lining of the intestines are damaged to to the overload of encysted strongyles (tumors, growths, "callouses"). 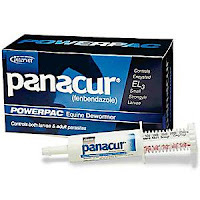 Fenbendazole (Market names are Safe-Guard and Panacur) is a five day regimen, usually set at a double dose, to periodically kill the parasite infestation within the horse. Benzimidazoles remove 90-100% of mature strongyles, but single doses will not eliminate 3rd and 4th stage larvae. The lethal effect of benzimidazoles is a slow process, thus it is recommended to use double doses for problem horses, at least once or twice a year. 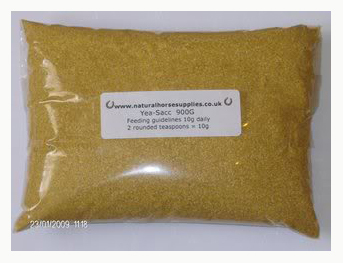 It is also recommended that the horse that will be wormed with a benzimidazole (most commonly fenbendazole) should have a reduced feed intake, which reduces the flow rate of digesta (something undergoing digestion) which increases the availability of benzimidazoles. Benzimidazoles have difficulty being easily absorbed by the GI tract, so what we do is place the priority horses in the barn with limited feed (such as grain, no hay) for the night. The next morning we worm them before anything will obstruct their mouths, and then they become released into the paddock. How do Benzimidazoles kill these parasites? Benzimidazoles stimulate ganglion-like (ganglion - a mass of nerve cell bodies) structures in the muscle cells of nematodes (roundworms). This stimulation results in muscle contractions, followed by neuromuscular damage resulting in paralysis. Different parasiticides target different parts of the worm's body - from the paralysis of uterine muscles that results in the disruption of reproduction to the paralysis of the pharynx (the part of the throat situated immediately behind the mouth and nasal cavity) resulting in the inhibition of feeding. Remember not to worm your horses every 2 months, it promotes resistance and parasiticides will become ineffective on your farm ! Instead of keeping Sinatra on a 14 day regimen of antibiotics (metronidazole), Sinatra, a senior citizen, will be given prebiotics, probiotics, safe-guard, moxidectin (for maintenance), Senior Nutrena feed (crumbles in your mouth) and hay stretcher pellets. His teeth float revealed that he is missing one tooth, and during the procedure, needed at least three tranq shots to stabilize his fear of the whole concept. and look for updates and photos ! Really in horsemanship, it’s hard to accept the fact that our horses are suffering from diseases and most of them are tough to resolve. Thanks for sharing this. Bookmarked!